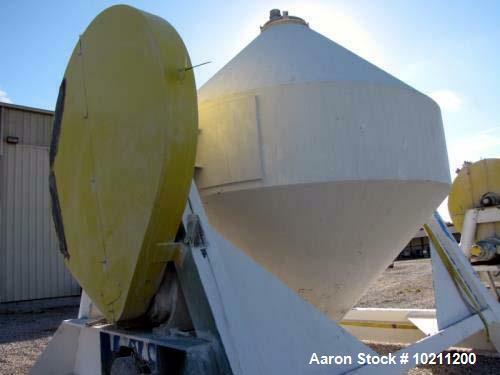 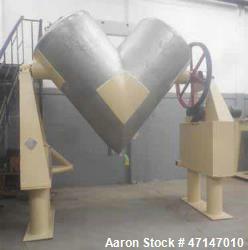 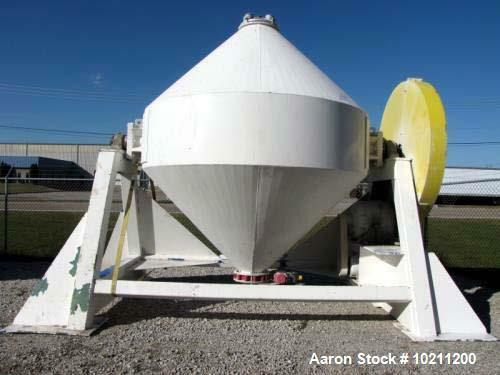 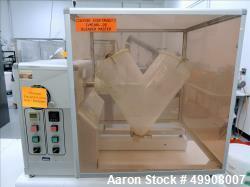 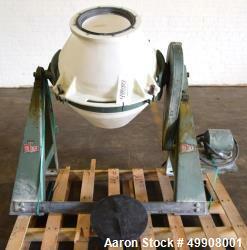 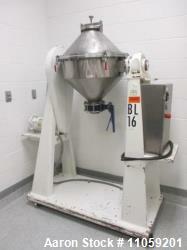 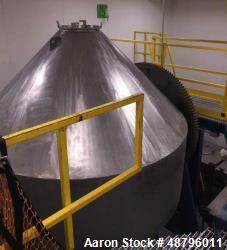 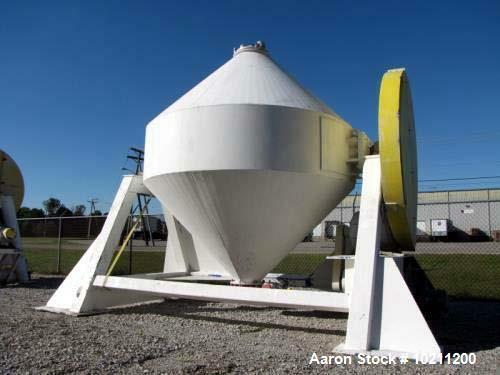 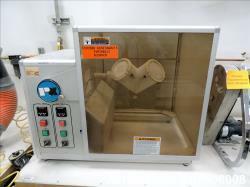 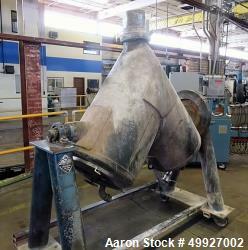 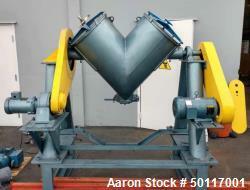 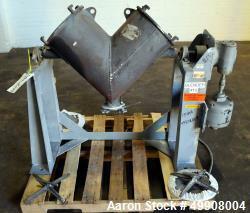 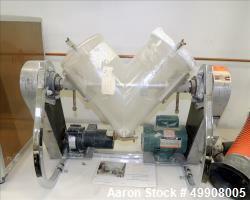 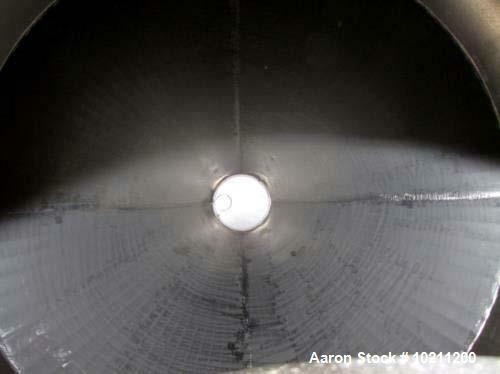 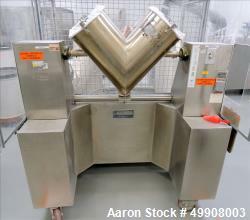 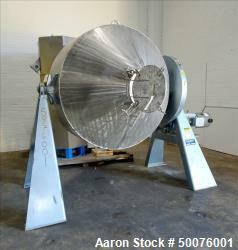 Used- 350 Cubic Foot Stainless Steel Double Cone Blender. 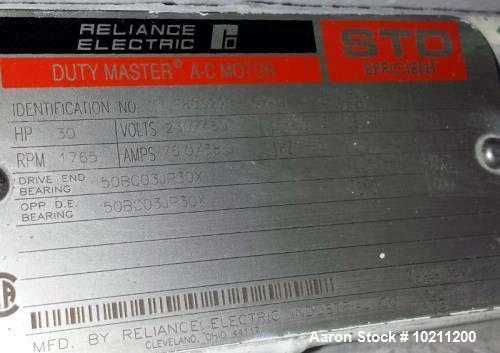 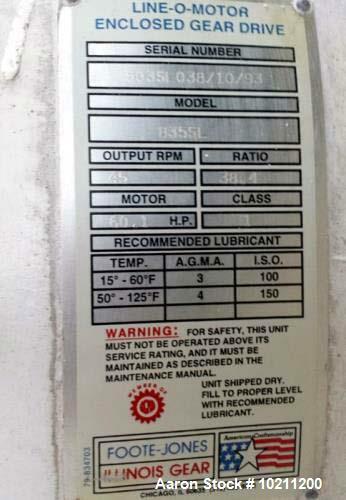 30 hp Reliance electric motor, 1765 rpm, 230/460 volt. 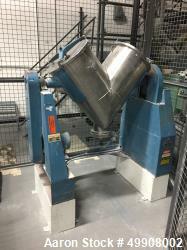 Foote Jones gear reducer, 38.4:1 ratio. 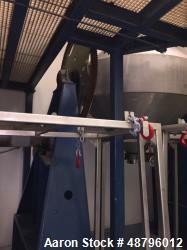 Gear drive with guard. 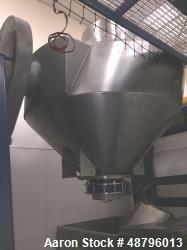 12" diameter flanged outlet with air actuated butterfly valve. Overall dimensions: 16'-10" wide x 9'-10" deep x 12'-5" high.